In the NFL, Brett Favre is coming off a masterful comeback performance on Monday night (albeit in an ultimately losing effort). Favre has a remarkable record of starting 289 consecutive games. Given that he’s now 41 and has spent the last few seasons in the NFL in his late 30s (prime athlete injury age), this is truly astonishing. However, it looks like Favre is suffering from elbow tendinitis. If his condition worsens, Favre said he would consider sitting 1 or 2 games. That would not only effectively end his streak, but also put the Vikings in an inferior position for a must win game against the Cowboys next week. The loser of that game will be 1-4, and, most likely, have a very tough time making the playoffs. Favre has a challenging decision to make. 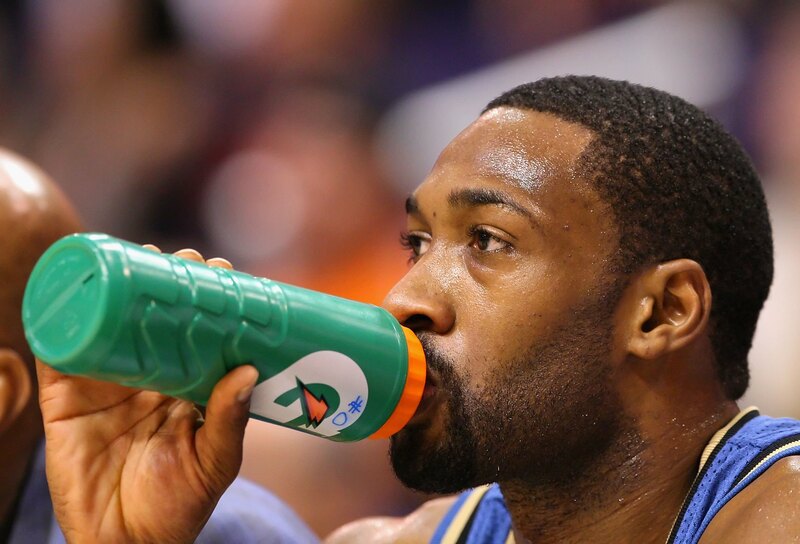 In the NBA, the Washington Wizards’ Gilbert Arenas is in trouble yet again. 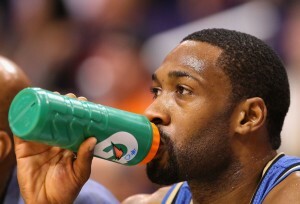 Arenas was just fined by the NBA for “faking an injury”. Apparently, Arenas wanted to help a teammate get more playing time and so he told the coaching staff that he was hurt. Wizards back-up point guard Nick Young was frustrated that he wasn’t getting a chance to show what he could do for the Wizards. Arenas felt badly for him and so he checked himself out of the line-up. Commendable and kind in some regard, but this is the professional level, and you just can’t do that. Plus, most players complain of not getting minutes, Arenas is basically saying he’s had enough minutes. Well, another kooky story from a kooky guy. Finally, in some interesting Olympics news, Tommie Smith, a gold-medalist in sprinting in the 1968 Summer Olympics, is selling his gold medal. 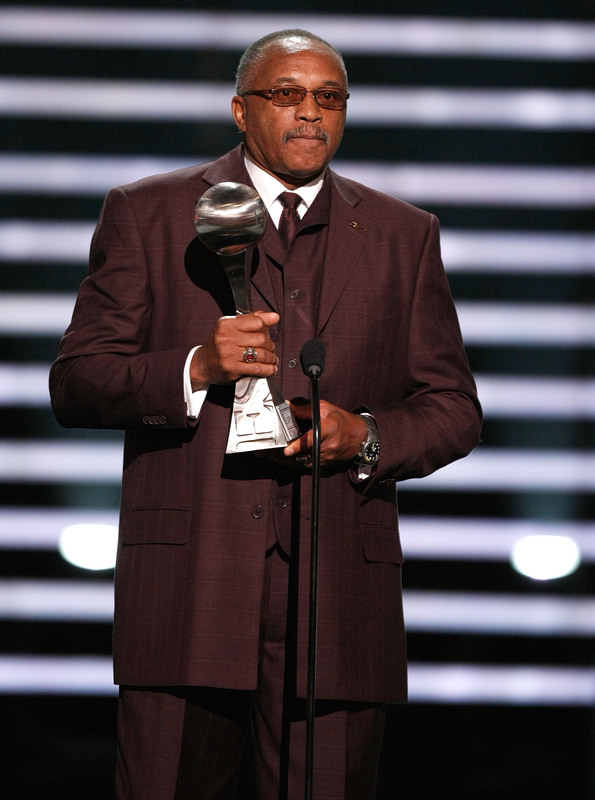 Tommie Smith was the famous Olympian who won the gold and then, on the podium, raised a ‘Black Power’ fist to the sky. This has been memorialized in a famous photograph where Smith and his running-mate John Carlos are bowing their hands and raising a black leather-gloved fist in the air. Smith said he is selling the medal for the money, of course, but also because he wants to share the historical piece of memorabilia with the public. At 66-years old now, and in a rough economy, Smith clearly has to do what he has to do to get by. It was a deciding Game 5 between the Texas Rangers and Tampa Bay Rays. 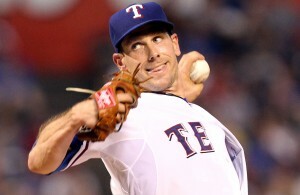 On the mound for the Rangers, none other than their rented ace, Cliff Lee. Lee has found his niche in baseball, essentially going to whatever team needs him at the moment. In the past year, he won a World Series for the Phillies, and then went to Seattle (where he was hurt). 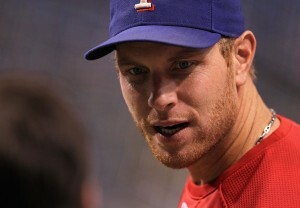 The Rangers brought him in mid-season for just this very situation: to win a deciding game. So how did the game turn out? Well, Cliff Lee did what he was supposed to do… be dominate. Lee had 11 strikeouts on the night and only let up 1-run. He was truly masterful out there. However, the game remained close (3-1) until the top of the 9th when the Rangers Ian Kinsler hit a two-run homerun blast to put the Rangers up 5-1 and pretty much seal the deal. The Rays couldn’t do anything in the bottom of the ninth, and with that, the Rangers are headed to the American League Championship series against the Yankees. This is very unfamiliar territory for the Rangers, who have been bottom dwellers for most of this decade and the 90s. You can bet fans in Texas are ecstatic! Texas 5, Tampa Bay 1. In some ancillary news on the Rangers win, one of their best and most integral players, Josh Hamilton, had his own story going on. Hamilton was supposed to be the second coming of Babe Ruth out of college. Unfortunately, Hamilton fell into drugs and alcohol and had to take a few seasons away from the game to recover. This was his comeback season, and he was purely spectacular. After the Rangers won, they had their typical champagne celebration in the locker room. Hamilton was able to celebrate with the team as well… with soda. The team was waiting for him in the locker room with bottles of Canada Dry Ginger Ale. A classy move on the part of the Rangers. LeBron James and the Heat were in pre-season action against Russian team CSKA. Well, LeBron pulled up limp and reportedly limped off the court with a serious cramp. The entire crowd gasped, thinking, ‘Oh no, he’s out for the season’. Now, LeBron said he’s fine and it was just a cramp, but it’s quite amazing how everyone is so desperate to see this Big 3 team in action. The loss of any member seriously dilutes this powerhouse team they’ve assembled. Everybody is on pins and needles any time any of them say ‘Ow’. 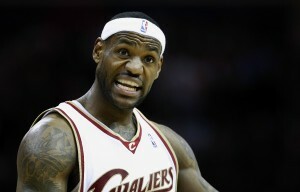 Cleveland 96, CSKA 85. In the NFL, it was a much anticipated Monday Night Football game between the Minnesota Vikings and the New York Jets. Remember, the Vikings added Randy Moss to their roster this week in hopes that he would give Favre a much needed deep threat. Furthermore, the Jets defense has been stifling this year, and their offense has surprisingly been quite effective. This game could go either way, and even was ominously suspended by a lighting delay. Yep, the rain was going to fall. The game started out all Jets. LaDainian Tomlinson and Shonn Greene helped the Jets cruise down the field a few times for a couple field goals. Meanwhile, Favre and the Vikes couldn’t get anything going on offense. Then, the rain came down hard, so hard that the Jets dropped two EASY touchdown passes. We headed into halftime with the Jets up 9-0. But, in the second half, Favre actually got some offense going, hitting Randy Moss for a gorgeous 37-yard touchdown pass. 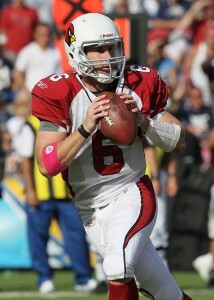 It was his 500th career touchdown pass!!!!! Then, Favre hit Percy Harvin for another touchdown pass, and suddenly, the Jets were only up 15-12. 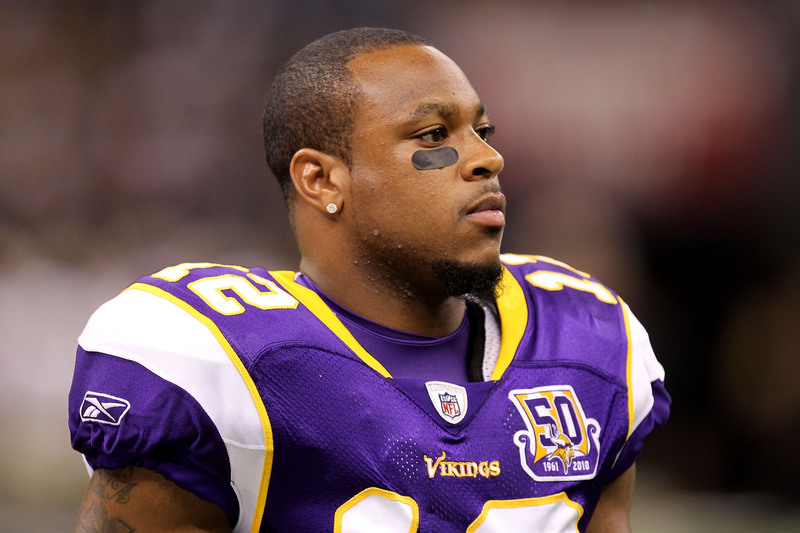 But, Shonn Greene answered the call for New York, taking in a 23-yard breakaway touchdown run! 22-12 Jets. It was over, right? Wrong. Favre came back the other way and hit Percy Harvin AGAIN for an amazing touchdown. 22-20 Jets. And then, the Jets gave the ball back to the Vikings with a chance to win. Unbelievable. Unfortunately, Favre turned to another character trait — foolish interceptions, as Dwight Lowery intercepted his pass and ran it into the end zone for a touchdown. And that was all she wrote. NY Jets 29, Minnesota 20. Elsewhere in the NFL, the San Francisco 49ers are 0-5 to start the season. This has been a surprise to everyone considering that many predicted the Niners not only to win the division, but to possibly go deep into the playoffs. However, 49ers owner Jed York publicly put a message out there that even though they’re 0-5, they will still WIN the division. This is quite a bold thing to publicly say. Sure it instills confidence in the team, but it’s a bit crazy. Then again, they have an easy schedule coming up, and the Cardinals are sitting in first place with a mediocre 3-2 record. Maybe they can do it. Finally, the San Francisco Giants finally did away with the Atlanta Braves to win the playoff series. Giants pitcher Madison Bumgarner got the win, and now the Giants will take on the powerhouse of the National League: The Philadelphia Phillies. Keep in mind that the Giants haven’t won a series since they moved to San Francisco 50 years ago. Their fans are desperate for a ring, and got a taste of that when the Giants went to the series in 2003 (they lost to the Angels in 7 games). 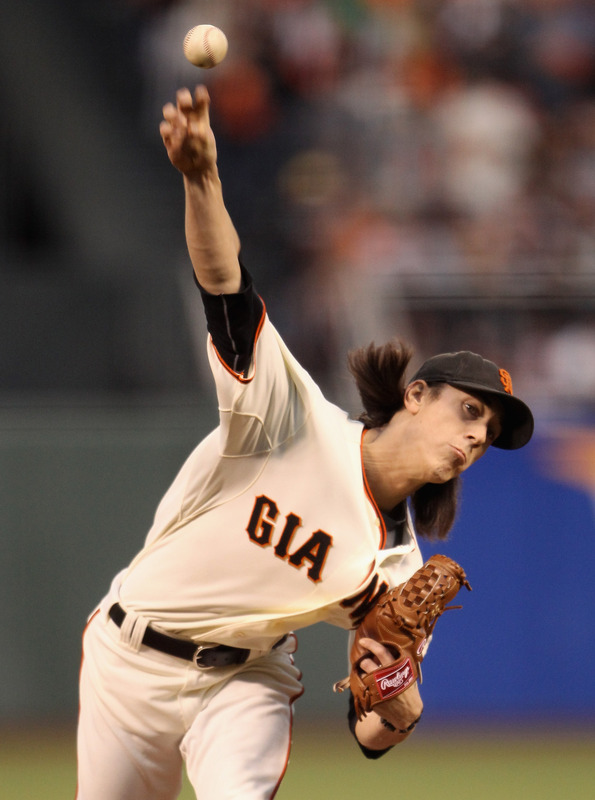 Tim Lincecum will take the mound for the Giants when they take on Philly. San Francisco 3, Atlanta 2. In college football, the Alabama Crimson Tide haven’t lost a game since August of 2009. They won the National Championship last year, and hoped to repeat this year. However, on Saturday, the Gamecocks of South Carolina got in their way. 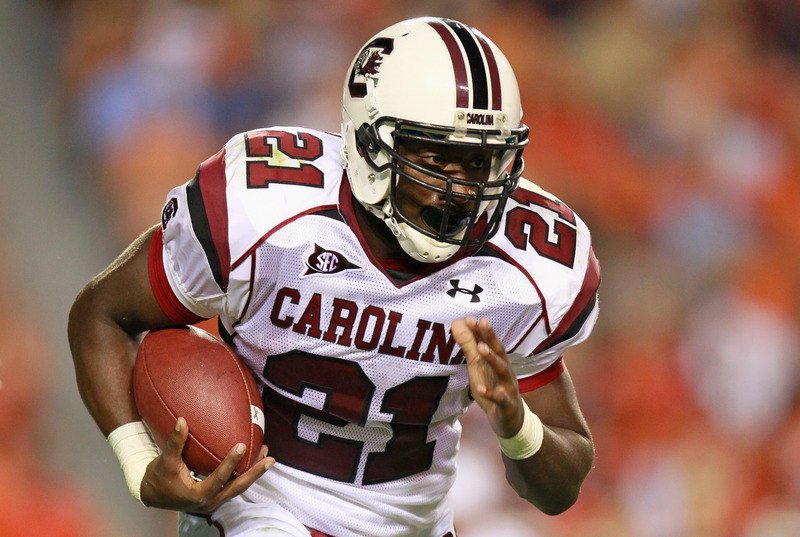 From the get go, South Carolina was firing balls everywhere, and got a tremendous game from their star freshman running-back Marcus Lattimore. Lattimore finished the game with 93 yards and two touchdowns, and South Carolina’s quarterback Stephen Garcia played a near perfect ball game finishing with 201 yards and 3 touchdowns. And with this effort, South Carolina knocked off the number one team in the nation. With the loss, Ohio State moves to #1 in the rankings. The new team to beat. South Carolina 35, Alabama 21. And in the NFL, the Kansas City Chiefs hoped to continue being the only undefeated team in the league. 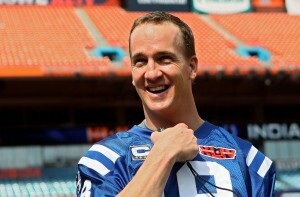 However, in order to do this, they would need to beat Peyton Manning and the Colts IN INDIANAPOLIS!! Not exactly the easiest thing to pull off. The Chiefs defense was able to stop a typically explosive Colts offense. They held Manning to only 244 yards and no passing touchdowns. That’s remarkable. However, the Chiefs’ offense just couldn’t get anything going, and only put up three field goals. That simply wasn’t enough to completely hold off the colts, as a late touchdown by back-up running back Mike Hart gave the Colts the little edge they needed for the win. And with that, there are no more undefeated teams in the league. Indianapolis 19, Kansas City 9. Elsewhere in the NFL, the New Orleans Saints have been pretty lackluster as the defending Super Bowl champions. However, they hoped to turn it around against an Arizona Cardinals team starting an undrafted rookie at quarterback as a last resort. Except, that rookie, Max Hall, turned out to be half decent. Hall wasn’t remarkable by any means (he didn’t throw any touchdowns), but he was able to keep the Arizona offense marching down the field for field goals. Plus, the New Orleans Saints made some heinous errors that the Cardinals capitalized on to nab the victory. Now the Cardinals at least have a serviceable QB, and the Saints need to seriously go back to the drawing board. This is NOT the amazing team we saw win it all last year. Arizona 30, New Orleans 20. The Philadelphia Phillies and New York Yankees did what many expected — sweep their respective series. The Phillies’ Cole Hamels took the mound for Game 3 against the Cincinnati Reds. He pitched the whole game, didn’t give up any runs, and pitched a masterful performance. The Reds simply couldn’t do anything against him, and quickly found themselves ousted from the post-season. Now the Phillies await the winner of the Giants/Braves series. Over in New York, the Yankees continued their dominance over Minnesota in post-season play. They absolutely annihilated the Twins in Game 3 and await the winner of the Rangers/Rays series. The League Championship Series will definitely be a thrill to watch. Philadelphia 2, Cincinnati 0. NY Yankees 6, Minnesota 1. First up, Tampa Bay looked to even the series as against a red hot Texas Rangers team. That wouldn’t exactly come to fruition, as the Rangers bats were locked and loaded. The Rangers got up to a 2-0 lead, and then, in the 5th, the Rangers basically sealed the deal. 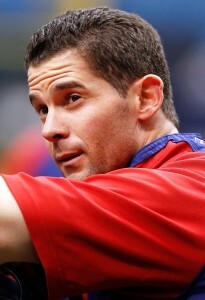 Michael Young hit a 3-run shot to give the Rangers a 5-0 lead and Ian Kinsler added another run with an RBI. 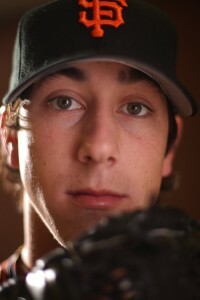 Rangers pitcher C.J. Wilson was dominate as well, as the Rangers cruised to an easy victory. They now lead the series 2 games to 0. Texas 6, Tampa Bay 0. In San Francisco, it was Game 1 of the series between the Giants and the Atlanta Braves. Both of these teams were playing very well headed into the post-season, and this should be a series to remember. Giants ace Tim Lincecum took the mound hoping to have a monumental game against a strong Braves offense. That’s exactly what happened. He had 14 strikeouts and only gave up 2 hits in an extraordinary effort. He was simply untouchable. The Giants only needed one run to win the game, and got off a Cody Ross RBI. The Giants take a 1-0 lead in the series. San Francisco 1, Atlanta 0. And in Minnesota, the Twins were hoping to square up the series with the Yankees. Getting a win at home against New York is very important. You don’t want to go into Yankee stadium down 2-0 in a best of 3 series. Well, this game would go back and forth. The Yankees led 2-1 in the sixth and thought they might hold on, but Orlando Hudson even it up with a home-run blast. But, in the 7th, Lance Berkman and Derek Jeter each hit RBIs to drive in 2 more Yankee runs to take a 4-2 lead. The Twins tried to come back, but simply couldn’t get the run. Then, Yankees reliever Mariano Rivera sealed the deal. The Twins just seem unable to figure out the Yankees. They were ousted by the Yankees last year and appear to be their prey this year as well. NY Yankees 5, Minnesota 2. Finally, in college football a special Thursday night game between undefeated Nebraska and undefeated Kansas State. Nebraska was ranked #7 in this game, but the K-State Wildcats have been red-hot and some thought this game had upset potential. Nebraska’s QB, Taylor Martinez, has been on fire this year, but his name hasn’t generated Heisman buzz. Well, last night’s game might change all of that. Martinez rushed for an amazing 241 yards and 4 touchdowns!!! And remember — he’s their quarterback. This was purely an outstanding performance that will surely get the attention of the Heisman committee. Nebraska 48, Kansas State 13. It was opening day of the post-season. First up, it was the Texas Rangers vs. The Tampa Bay Rays. Mid-season acquisition Cliff Lee took the mound for the Rangers who are hoping to make some major noise in the playoffs. Cliff Lee was just as dominant for the Texas Rangers as he was for the Phillies last year. He absolutely smoked the Rays, only giving up one run. On the other hand, the Rangers’ bats came to play — everyone got in on the action including a homer by Nelson Cruz. However, don’t count out the Rays, they were the hottest team in the league coming into the post-season. Texas 5, Tampa Bay 1. Next up, it was a showdown between last year’s National League Champion, the Philadelphia Phillies, and a playoff newcomer, the Cincinnati Reds. The Reds organization has been essentially dormant for 15 years. But they had a terrific season, and feel just as confident as any team. There’s only one problem — they had to face, probably, the best pitcher in the league: Roy Halladay. The Phillies brought Halladay in this year for this very reason — to be clutch in the post-season. Well, Halladay did more than that — he made history. For only the second time in major league history, we saw a no-hitter in the playoffs. This was all Halladay. Think about how remarkable that is. The Reds are a very strong team. For them not to even get one hit, that’s a testament to Halladay’s dominance. And with that, the Phils take a 1-0 lead in the series. Philadelphia 4, Cincinnati 0. Finally, the Yankees came to Minnesota for a prime-time showdown. The Twins got things off to a fast start with a 2-run homerun by Michael Cuddeyer. Then Orlando Hudson hit a shot to drive in a run. Suddenly, it was 3-0 Twins. And that’s when the Yankees bats started swinging. 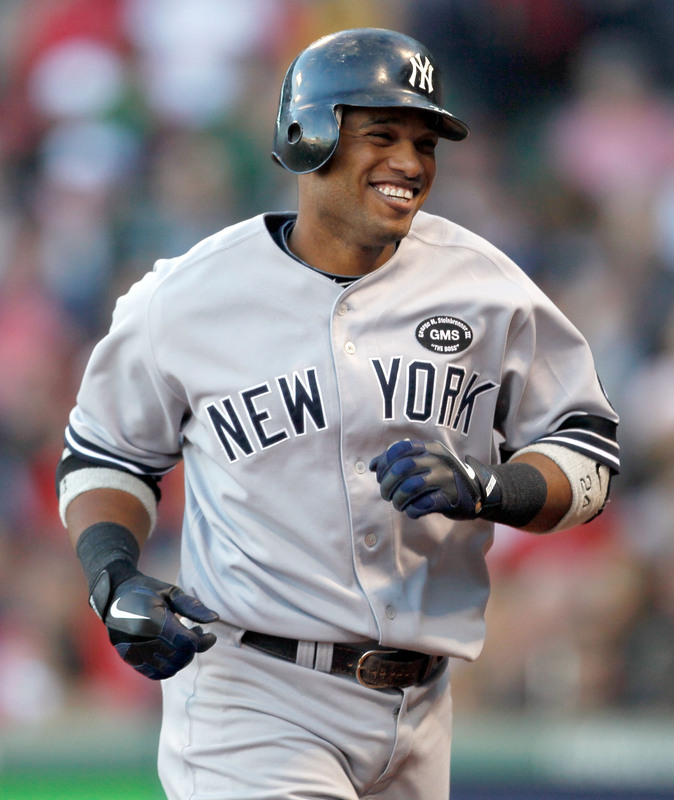 Robinson Cano, Jorge Posada, and Curtis Granderson all drove in runs to make it 4-3. The Twins tied it up with a walk and forced run, but then, in the 7th, Yankees slugger Mark Tiexeria smashed a 2-run shot to give the Yankees a 6-4 lead. Then, Yankees reliever Mariano Rivera came in to finish up the game. Yankees lead the series 1-0. NY Yankees 6, Minnesota 4. In the NFL, a major trade is reportedly done. 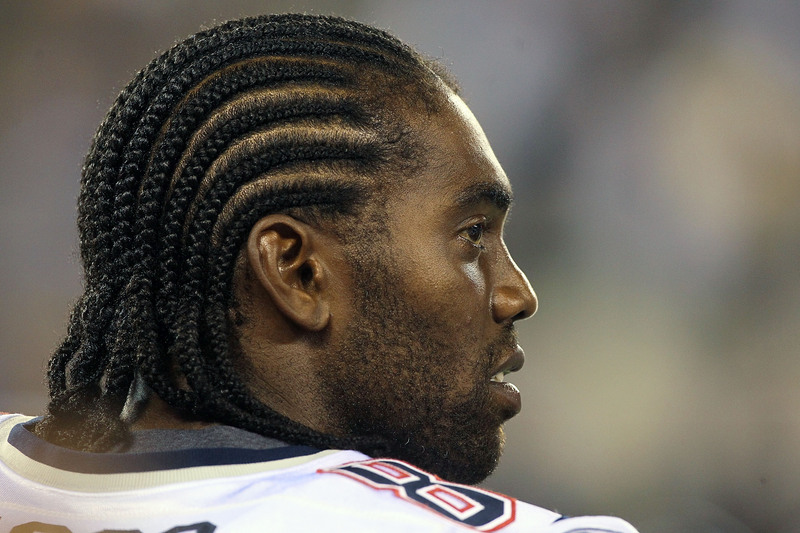 It looks like after a string of amazing seasons, the New England Patriots will part ways with Randy Moss. There was some strife in the organization over Moss, and it might be time to let him go. It’s unclear whether the Patriots have what it takes to make it to the Super Bowl, and they may as well get as much value for him as possible. So, where is Moss going? The answer: He’s going back to where he started — Minnesota. Yep, the Vikings are so desperate to get Brett Favre a weapon at receiver, they’ve decided to bet the farm on Moss. Last year, Favre thrived with a downfield threat in Sidney Rice. Having Moss will open up their running game for Adrian Peterson to wreak havoc again on defensive lines. This is a very smart move for the Vikings. In other NFL trading news, the Seattle Seahawks made their own statement that they are serious about winning. Seattle has looked both very good and very BAD this season. Basically, when Matt Hasselbeck and their passing game is on, the Seahawks can do some damage. But, when Hasselbeck is rusty, it makes it easy to stop the Seahawks, and they don’t have a running game to cause much panic in defenses. Until now. 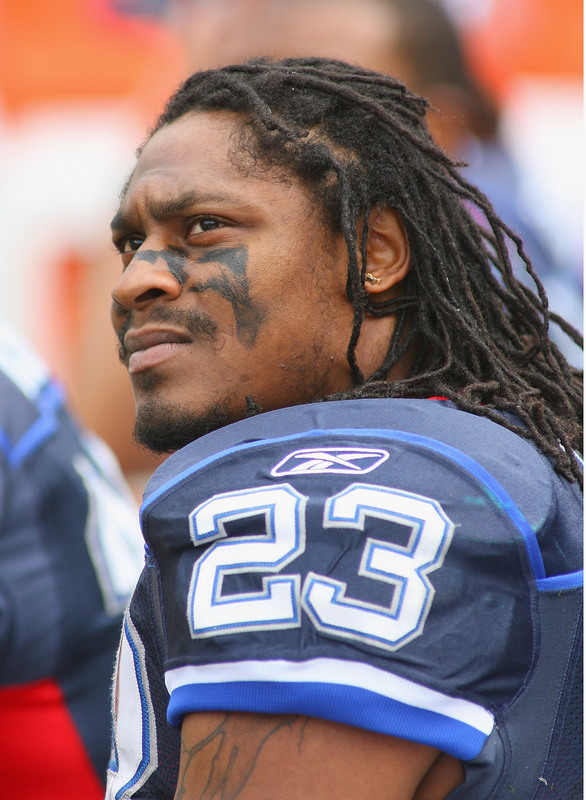 The Seahawks traded for the Bills’ Marshawn Lynch. Lynch became dispensible when the Bills drafted superstar running-back C.J. Spiller from Clemson. Now, the Bills have both Justin Forsett and Lynch at running back and should be able to have a dynamic offense again. Perhaps they can actually win the NFC West this season. In the NBA, the pre-season was under way, and we got just a little taste of Miami’s BIG 3 (LeBron, Dwayne Wade, and Chris Bosh). 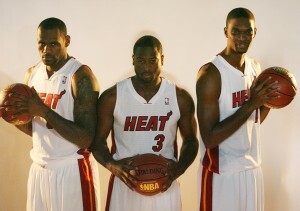 However, the dangerous trio was only on the floor for 3 minutes, as Dwayne Wade pulled up lame with a sore hamstring. This is not a good sign for the Heat who will definitely want Wade on the floor come opening day. 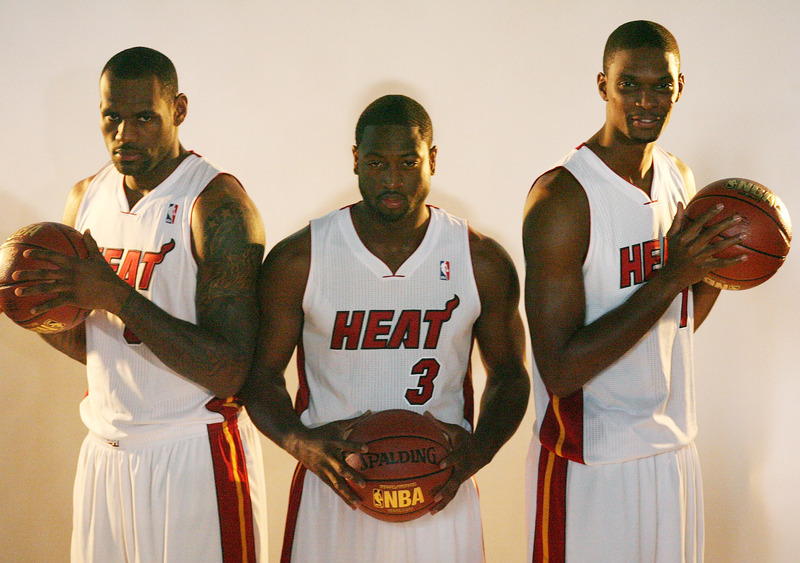 Then again, the Heat fans got a glimpse of what it was like to have LeBron on their team. He was a monster and constantly draws multiple defenders, thus opening up his teammates. LeBron truly looks like he’s on a mission this season. Watch Out! Miami 105, Detroit 89. In the NFL, it was Monday Night Football between the New England Patriots and the Miami Dolphins. This game was interesting because it was a battle of the Patriots high-powered offense against the Dolphins stingy defense. The Dolphins have looked pretty good this season, but haven’t really been tested by an explosive offense. Well, the game got out to a slow start, with the Dolphins taking the early 7-6 lead at halftime. It looked like they were containing the Pats, and might eek out a close victory. Nope, nope, nope, nope, NOPE! In the second half, the Patriots came out firing on all cylinders, but most notably, their defense and special teams got in on the action. They got a kickoff run back for a touchdown, and two defensive touchdowns from an interception and blocked field goal. Wow! This Patriots team is hard to predict. Sometimes they show up, and sometimes they completely fall apart. Last night they definitely showed up. New England 41, Miami 14. Elsewhere in the NFL, bad news for Eagles fans. Philly has been super excited to witness the triumphant return of Michael Vick this season. They went from thinking they would finish last in the NFC East to thinking they might actually make it to the Super Bowl. Unfortunately, in Sunday’s game against the Washington Redskins, Vick went down holding his ribs. Now it looks like Vick will definitely be out next Sunday and might miss one more week after that. Bummer. However, this just means that their original starter, Kevin Kolb, will have a chance to prove he is the rightful replacement for Donovan McNabb yet again. Kolb is a much more traditional quarterback, and this might actually play to the Eagles benefit. And in the NBA, the pre-season is about to tip-off, and the Lakers will be without their best player Kobe Bryant. He is still recovering from a knee injury from last season. 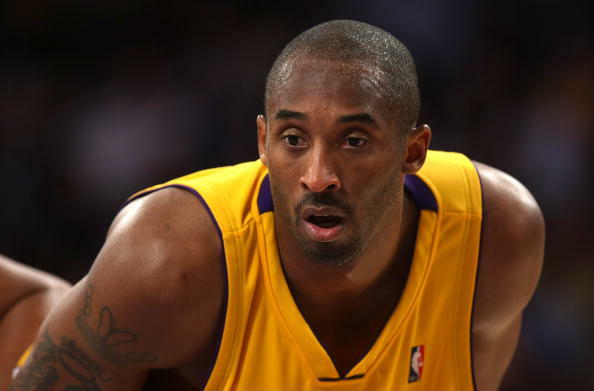 Kobe said after a game in Europe that he is only at 60% right now. What does this mean? Well, the Lakers are without Andrew Bynum for the first month of the season, and if Kobe is still recovering going into the season, they might lose more games than they would like. In the NBA, it’s all about playoff seeding, because that’s how you gain the home court advantage when it counts. If they lose 4 or 5 games because Kobe’s knee isn’t in tip-top shape, that could mean getting the #2 or #3 seed in April come playoff time. It’s too early to predict anything, but the Lakers will definitely want Kobe in action as soon as possible. In the NFL, the Jacksonville Jaguars have had a very disappointing season thus far. They squeaked out a win against Denver on opening weekend, then got shellacked in weeks two and three. Many thought they were headed for one of those horrific seasons to get in line for the #1 pick in the draft, and possibly even re-locating to Los Angeles. With the Colts coming to town this week, the Jags were hoping to show people that they actually have life. Well, David Gerrard and Maurice Jones-Drew finally got things going for Jacksonville with three touchdowns between the both of them, and the Jags even tied the game at 28. 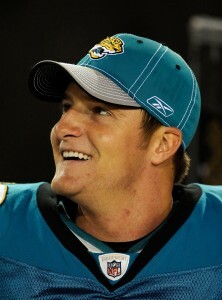 Then, in the closing seconds, Jacksonville’s kicker, Josh Scobee, booted an amazing 59 YARD FIELD GOAL TO WIN THE GAME!! Amazing! And the Jags stunned Peyton Manning and the Colts. Jacksonville 31, Indianapolis 28. Elsewhere, it was a defensive battle between the Baltimore Ravens and Pittsburgh Steelers. Pittsburgh was looking to go a perfect 4-0 before they get their primary starting QB back — Big Ben Roethlisberger. Things were going in Pittsburgh’s direction as they led 14-10 in the closing minutes of the game. 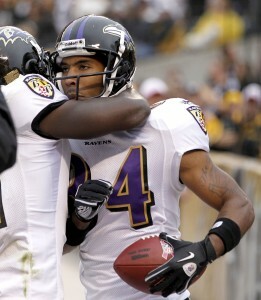 But then, with just under a minute remaining, Baltimore’s Joe Flacco connected with their newly added receiver T.J. Houshmandzadeh for an alarming 18 yard touchdown pass to put the Ravens ahead. The Steelers crowd was absolutely stunned, and the Ravens improved their record to 3-1 to take first place in the AFC North. Baltimore 17, Pittsburgh 14. And in Philadelphia, it was the match-up everyone had been waiting for: Donovan McNabb’s return to Philly, but this time, wearing a Washington Redskins uniform. No complaints from Philly fans, however, they have their loaded weapon in quarterback Michael Vick. Vick has been driving defenses crazy this season, and is even causing Eagles fans to start thinking Super Bowl. 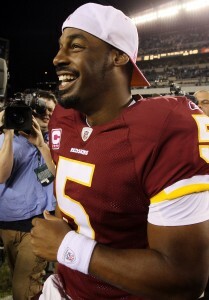 They don’t need McNabb anymore. Or… so they thought. In the first quarter alone, the Redskins offense bowled over a banged up Philly defense to take a 14-0 lead. Eagles fans were shocked. And then… more bad news, as Michael Vick went down hard, got up, clutching his stomach in pain. Vick had to come out of the game, and may apparently have three broken ribs. Not good news for the Michael Vick experiment. 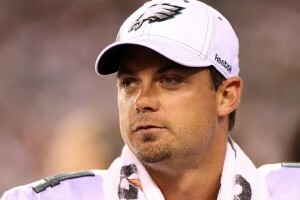 Kevin Kolb relieved Vick, and even led a solid comeback, but it wasn’t enough. McNabb was able to come back to the place where he spent 10 years of his career and ‘nabb’ the win. Washington 17, Philadelphia 12.